Adding to our expanding line of children’s entertainment parks, KidzMondo Water Park is a franchise-able concept offering water-based activities for the entire family. KidzMondo Water Park includes many facilities providing various fun activities to suit different hobbies and interests. KidzMondo Water Park presents a big selection of slides for all ages. Extreme speed slides, open and closed slides, Twisters, Black Holes, Turbo, Free Fall and Kamikaze slides are just a few that can be experienced. Amongst many other things, KidzMondo Water Park caters to the adrenaline junkies with five extreme slides that offer an incredible, full adrenaline, slide experience. Speed slides with mats offer the more competitive visitors a chance to race with their friends. Family slides allow for family bonding where parents and their children can make memories together in the water. Children can play and explore in multiple areas including a cave, inflatable, obstacle course, splash fountains, pirate themed play area, and many other kid specific attractions. Entertainers will perform hourly artistic shows for guests to enjoy, as well as engage children in pool games keeping them entertained throughout the day. Snack bars and restaurants offer a great variety of food for all tastes. 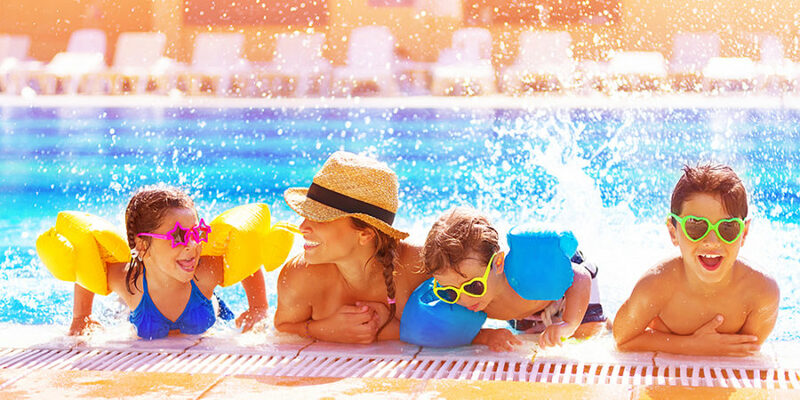 KidzMondo Water Park ensures highest measures of child safety and security, granting parents peace of mind so they can enjoy a nice relaxing time while their kids have lots of fun in the sun. Certified lifeguards are on duty during all operational hours. Regular maintenance is done to all slides and KidzMondo Water Park facilities. Safety signage at all facilities within KidzMondo Water Park dictates appropriate behavior. Life guards and medical technicians are available to ensure that any emergency medical situation is dealt with properly. Kidz Holding offers complete turnkey solutions for any client interested in building or operating a Water Park. The team at Kidz Holding groups several expertise under one roof to cater for turnkey solutions, such as feasibility planning for commercial and creative conceptualization, volume design for people flow functionality, facility drawings, etc. Our consultancy services range from master planning to design, architecture, landscaping, and supplying, to staffing, training, and management. 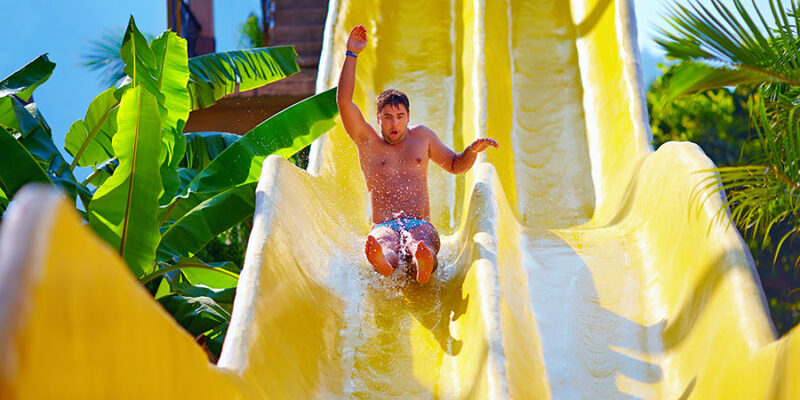 Kidz Holding is connected to a large network of worldwide suppliers of machinery, props and accessories catering to waterparks, including slides, inflatables, water appropriate playscapes and much else. In short, a team of specialized industry specialists and designers will be assigned to your project and tasked with planning, designing your facility, and providing you with any other needed services.